Many people are always looking for ways to improve their appearance, which is one reason why many people might consider rhinoplasty. Commonly referred to as a "nose job," this is a type of surgery that reshapes and occasionally improves the functions of the nose. Why do people want rhinoplasty surgeries? If you are having nose-related breathing problems, rhinoplasty may be an option for you to correct those problems. If your nose is disfigured due to a birth defect or some type of trauma, this may also be an option to consider. Because rhinoplasty has been known to enhance the features of a person's face, you may just decide to have it done for cosmetic reasons. When it comes to having rhinoplasty done, there are different types to consider. There are open, closed, filler, revision and ethnic rhinoplasty procedures, with open rhinoplasty being the most popular. An incision is made in the skin where your nostrils separate. The skin is then lifted so that the doctor can start reshaping. Closed rhinoplasty occurs with an incision inside of the nose. The skin is separated from your bone and cartilage. 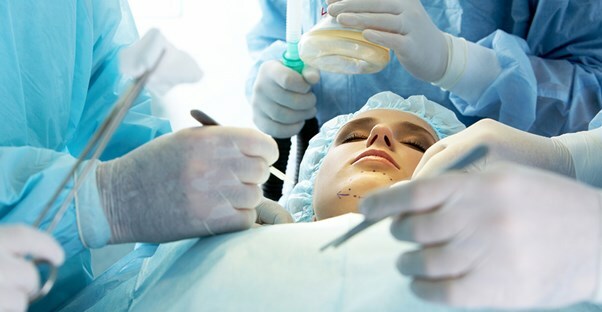 This type of surgery is done when only minor changes need to be done. The filler type is where injectable fillers are used to fix depressions or minor imperfections of your nose. However, few people choose this option because the results are impermanent. A revision surgery is done when the results of a previous rhinoplasty are unsatisfactory. In some cases, you may only need a few touch-ups, while in others, you may need major work. The more work that has to be done in a revision surgery, the more money and time you will spend. Additionally, having a revision can be quite risky. Ethnic rhinoplasty has become more popular in recent years. Many people would like to change the appearance of their noses without losing key ethnic characteristics. How do I know if rhinoplasty surgery is for me? In order to be considered for rhinoplasty, your surgeon will do an evaluation of your overall health. This will help him or decide if you are a good candidate for the surgery. You will then discuss the risks of having the surgery done. Your surgeon will also explain expected recovery time and what the cost will look like for the different options. The good thing about having this surgery done is that it is generally performed on an outpatient basis. This means that you do not have to stay overnight in the hospital afterward. Rhinoplasties can cost between $5,000 and $11,000, with the median being around $7,000. If you have health insurance, some of the cost may be taken care of for you. However, a lot of providers will not cover anything if the surgery is only for cosmetic reasons. Recovery time can be up to six weeks or as few as three weeks, depending on your unique situation. Talk to your doctor today to see if this is the right surgery for you.